In celebration of the 60th Anniversary of Desegregation at the University of Florida, the George A. Smathers Libraries, The Center for Race and Race Relations, the Lawton Chiles Legal Information Center, and the A. Quinn Jones Museum & Cultural Center are coming together to showcase the role of Black educators who advanced social justice in the four decades preceding the Civil Rights Movement. The complementary exhibits are curated by Diedre Houchen, Ph.D. (Center for Race and Race Relations) and Florence M. Turcotte (Smathers Libraries). Most of the items on view are from the George A. Smathers Libraries’ Special and Area Studies Collections. On view August 13, 2018 – October 15, 2018 Racism, Representation, and Resistance in Children’s Literature 1800 – 2015 illustrates the power of children’s literature to shape young minds. Dr. Thomas will speak on the role race plays in children’s literature. The George A. Smathers Libraries will present an exhibition of original artwork and rare books depicting bark beetles and their impact on the environment. On view January 9 through March 10, 2017, Beetle | Book | Bark, reflects upon the beetles themselves, their destructive capacity, and the art they unintentionally create. The Smathers Libraries will present a new bilingual exhibition that explores the mysteries of literary autographed books in the Latin American and Caribbean Collection (LACC). On view September 26 through December 16, 2016, Mysteries of an Autograph will highlight autographed books that draw attention to the specificity of Latin American cultural legacy and examine the connections between the authors, autograph recipients, and donors. A companion exhibit will be on view during the same time in the Latin American and Caribbean Collection. Additional support for this event provided by the Center for Latin American Studies. In celebration of the 450th Anniversary of the city of St. Augustine, the George A. Smathers Libraries will present an exhibition of maps, photographs, written observations, and artifacts relating to the rich history of Government House. On view from August 24 through October 23, 2015, Government House and the Stories of St. Augustine, reflects upon the city’s history, from colonial life to international warfare and politics, and from governmental administration to race relations. Join us for two great events! Round table discussion with Kathleen Deagan, Herschel Shepard, and Susan Parker. Co-sponsored by the George A. Smathers Libraries and the Bob Graham Center. When Uncle Sammy Leads the Band, an exhibition of items from the Bernard S. Parker World War I Sheet Music Collection, will be on view March 16 through May 15, 2015. This exhibition pays tribute to the music industry during World War I. Representing and promoting both sides of the neutrality issue in the divided nation, titles such as America First, The Neutrality March and Don’t Take My Darling Boy Away supported staying out of the war while titles such as America Awake and What Kind of American Are You? supported a declaration of war. The George A. Smathers Libraries will present an exhibition of animal imagery in medieval manuscripts. On view from January 12 through March 6, 2015, The Beast in the Book: Animals in Jewish, Christian, and Islamic Illustrations from the Middle Ages, encourages the viewer to reflect upon the ways in which the illustrators combined high art and imagination along with didactic messages. The Smathers Libraries will present a new bilingual exhibition that highlights the many ways in which women were active and vital participants in Cuba's revolutions. On view March 31 through May 23, 2014, Revolucionarias: Women and the Formation of the Cuban Nation will examine the lives of various women throughout Cuban history, their impacts on the country, and the country’s impact on them. Renowned scholars Lillian Guerra, Michelle Chase, and Jennifer Lambe will discuss women’s roles and active participation in Cuban history. Co-sponsored by the George A. Smathers Libraries, the Center for Latin American Studies, the Center for the Humanities in the Public Sphere, and the Center for Women's Studies and Gender Research. Alexis Baldacci and Daniel J. Fernandez-Guevara will discuss their research in relation the the exhibition. Haggadah: why is this book different? The George A. Smathers Libraries will present an exhibition of rare and scarce Haggadot from the Isser and Rae Price Library of Judaica. On view from January 21 through March 18, 2014, Haggadah: why is this book different? tells the story of how a Jewish text compiled in antiquity was adapted and reproduced over time and around the world. The exhibition will highlight the many ways in which the core Haggadah text, with its Passover rituals, blessings, prayers and Exodus narrative, was supplemented by songs, commentary and rich illuminations to reflect and respond to each unique period and circumstance in which the Jewish diaspora found itself. Curated by Rebecca Jefferson, Head of the Isser and Rae Price Library of Judaica. The George A. Smathers Libraries will present an exhibition of illustrations by Arthur Rackham. On view November 12 through December 13, When Phantasie Takes Flight: the Art & Imagination of Arthur Rackham explores the breathtaking artwork of renowned British illustrator Arthur Rackham and also places his work within the broader context of children's illustration from 1823 to 2010. The exhibition features more than 16 limited and signed editions by Rackham, including The Peter Pan Portfolio, which contains illustrations not published in the original Peter Pan in Kensington Gardens. Accompanying Rackham’s work are items by other famed illustrators such as Walter Crane, Aubrey Beardsley, Willy Pogány, Howard Pyle and N.C. Wyeth, from the Baldwin Library of Historical Children's Literature and the Harold and Mary Jean Hanson Rare Book Collection. Curated by Suzan A. Alteri and John Ingram, When Phantasie Takes Flight is also available online. The George A. Smathers Libraries will present an exhibition inspired by recent donations to the Isser and Rae Price Library of Judaica. On view from April 1 through June 14, 2013, Testimony showcases primary sources that bear undeniable witness to the Holocaust. The exhibition will highlight previously unseen letters from members of the Stirt family sent from the Kovno Ghetto before they were murdered by the Nazis at Ninth Fort, as well as the papers and unpublished autobiography of the late Emanuel Merdinger, a concentration camp survivor and former Professor at the University of Florida. Testimony documents the impact of the Holocaust on the victims and survivors, and it gives voice to the immense aftershock felt by subsequent generations. Join Curator Rebecca Jefferson as she discusses Testimony on Thursday April 4, 6:00 pm – 7:00pm in the Smathers Library Gallery, 2nd Floor. The George A. Smathers Libraries have released a new online only exhibition entitled The Gathering Storm: Jewish Life in Germany and Eastern Europe in the 1930s. The exhibition features rarely seen items produced by European Jewry before the advent of the Second World War. While the subject of Jewish experience during the war has been widely explored, life for Jewish people in the period immediately before the war is less well known (partly due to the scarcity of available material). The exhibition showcases 20 items held in the Isser and Rae Price Library of Judaica, relating to the idea of a “Gathering Storm” for European Jewry. These publications originate from some of the major centers of Jewish life before the Second World War, such as Berlin, Frankfurt, Leipzig, Hungary, Poland and Romania. Rare German and Yiddish newspapers and periodicals, as well as ephemeral publications such as calendars, yearbooks and other communally inspired commemorative works illustrate the deteriorating conditions for Eastern European Jews before the war. The expeditions of Juan Ponce de León in 1513 and 1521 opened Spanish exploration of what became the southeastern United States and started efforts to bring Florida into Spain’s colonial empire. As counties and cities all over the state of Florida commemorate the first voyage of Ponce de León that resulted in the naming of our state, it is important for us to not only celebrate the landing but also think about the changes it wrought. When Ponce de León came ashore on April 3, 1513, he set in motion a series of traumatic changes that changed Florida forever and created modern-day Florida. To celebrate 500 years of this great state, the George A. Smathers Libraries at the University of Florida will present Florida 1513 – 2013: A Quincentennial Commemoration. On view from January 24, 2013 through March 15, 2013, Florida 1513 – 2013 features a series of vignettes highlighting some of the changes wrought in Florida over half a millennium. The exhibit showcases items from the collections of the P.K. Yonge Library of Florida History at the University of Florida, including antique maps and historic photographs. Florida 1513 – 2013 is curated by Jim Cusick, Curator of the P.K. Yonge Library of Florida History. The George A. Smathers Libraries will present Imagining Jerusalem to coincide with the Jewish festival of Hanukkah. On view from November 13, 2012 through December 14, 2012, Imagining Jerusalem showcases antique maps, historic photographs and rare books depicting, idealizing and imagining the Holy City of Jerusalem. In ancient times, Jerusalem was seen as the center of the physical world. Presently, it is the spiritual center for three of the world’s major religions. The many imaginings and re-imaginings of this holy city have inspired the creation of countless pieces of art, poetry and prose, and have certainly influenced mapmaking. Based on sacred and historic texts, personal accounts and, of course, artistic musings, these maps and other artifacts provide a window into the real, spiritual and imagined world of Jerusalem. Curated by Rebecca Jefferson, Head of the Isser and Rae Price Library of Judaica and Carol McAuliffe, Map Librarian at the Map and Imagery Library, Spatial Information Services Unit. Related programs include an opening reception on Thursday November 15, 2012 featuring special guest Dr. Elizabeth Ross, Assistant Professor of Art History, University of Florida. Dr. Ross will speak on "Perspectives on a Holy City: Jerusalem in Antique Maps.” Sunday December 9, 2012 at 3:00 pm join the curators for an afternoon discussion about selected items featured in the exhibition. The University of Florida George A. Smathers Libraries have debuted the online exhibition About Face: Revisiting Jamaica’s First Exhibition in Europe. The exhibition, which is only available online, celebrates Jamaica’s 50th Anniversary of Independence by revisiting the country’s first post-independence exhibition to tour Europe. Face of Jamaica toured Europe for nine months between 1963 and 1964 yet it was never viewed in Jamaica. Almost fifty years later, the online exhibition About Face: Revisiting Jamaica's First Exhibition in Europe reconsiders that exhibition by re-presenting its art and related materials online. Over forty of the original works of art by such noted artists as Edna Manley, Karl Parboosingh, and Barrington Watson, as well as original news articles about the exhibition and a study of Jamaican perception and pop culture in the early 1960s are included. Many items featured in the online exhibition are also freely available as zoomable images in the Digital Library of the Caribbean to allow more in depth and detailed viewing. Curated by Dr. Petrine Archer and Claudia Hucke, designed by Lourdes Santamaría-Wheeler. The exhibition was made possible by the George Smathers Libraries Mini Grant Program. The George A. Smathers Libraries present an exhibition in honor of the 200th anniversary of the publication of the Brothers Grimm, Kinder- und Hausmärchen (Children and Household Tales). Grimm Changes: from folk tale to fairy tale will be on view through December 14, 2012 in the Smathers Library, Special and Area Studies Research Room. And also avalaible online. 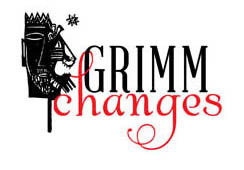 Featuring 30 books from the Baldwin Library of Historical Children’s Literature, Grimm Changes illustrates the transformation of the Grimm tales from orally shared folk tales to the beloved fairy tales of today. Included in the exhibition is a copy of the first English translation of Children and Household Tales, and works by notable authors and illustrators Arthur Rackham, Kay Nielsen, and John Gruelle. Curated by Suzan A. Alteri and Jasmine Tran. Opening reception will be held on Thursday October 18, 5:30 p.m. – 7:00 p.m. in the Smathers Library, Special and Area Studies Research Room. Curator Suzan A. Alteri will discuss the exhibition along with the influence of the Brothers Grimm on children’s literature. The Health Science Center Library presents, Harry Potter’s World: Renaissance Science, Magic, and Medicine, a traveling exhibit from the National Library of Medicine. The exhibit will be on view on the first floor of the Health Science Center Library from August 28 - October 6, 2012. Accompanying the exhibit will be a speaker and film series featuring presentations by faculty from the University of Florida and beyond. Curated by Elizabeth J. Bland. This exhibition was developed and produced by the National Library of Medicine, National Institutes of Health. 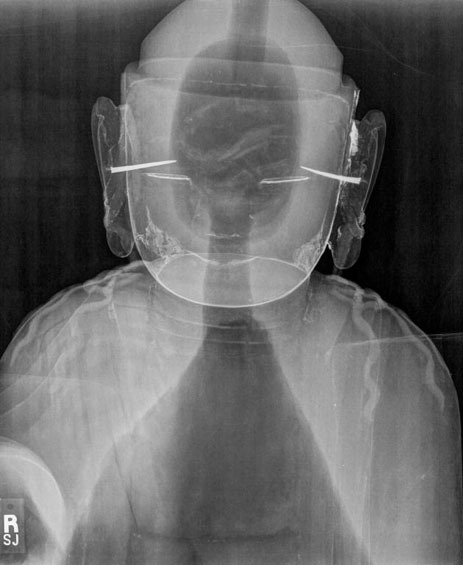 Image courtesy of the National Library of Medicine. Related events will take place in the Communicore building, the Smathers Library, and the Research, Education, and Visualization Environment (REVE), all on campus. All events are free and open to the public. The George A. Smathers Libraries have released a new exhibition available only online. Utilizing materials from the Libraries Architecture Archives, The Preservation Conversation explores the conversation that occurred during three Herschel Shepard historic preservation projects in Florida; adaptive use of Government House in St. Augustine, reconstruction of Mission San Luis de Apalachee in Tallahassee, and the ongoing restoration of Gamble Mansion in Ellenton. Curated by UF Museum Studies graduate students Austin Bell, Renee Kiefer, and Kim Tinnell with guidance from Herschel Shepard, Cindy Peterson, John Nemmers and Professor Glenn Willumson. The George A. Smathers Libraries are pleased to announce that Jewish Jacksonville will be on view April 23 through June 15, 2012 in the Smathers Library Gallery, 2nd Floor and permanently online. 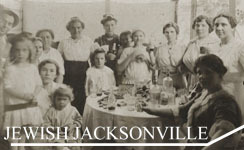 Prior to the 1930s, the Jewish community of Jacksonville represented Florida’s largest and most significant Jewish population. Yet, in spite of its former preeminence, the story of this community is still little known. Featuring late 19th century - end of the 20th century materials from the Price Library of Judaica and the Smathers Libraries Special Collections, the exhibition shares a slice of Jacksonville’s Jewish heritage. The George A. Smathers Libraries collaborated with the Samuel P. Harn Museum of Art to create the online exhibition Korean Art: Collecting Treasures as a permanent companion to the temporary exhibition of the same name. Collecting Treasures features items from the Harn’s Korean holdings including bronzes, ceramics, furniture, paintings, prints and sculpture. The George A. Smathers Libraries will host a major national traveling exhibit, Lincoln, the Constitution and the Civil War, in Library West on the third floor, from February 1 to March 7, 2012. Developed by the National Constitutional Center and the American Library Association, this new exhibit focuses on President Abraham Lincoln’s struggle to meet the political and constitutional challenges posed by the Civil War. Visitors to the exhibit will walk through a series of nine museum-style panels with photographic images of Lincoln, significant historical documents, and prints and photos depicting the era of the Civil War. Two companion exhibits will also be on display in the UF Libraries. Civil War Legacies, featuring materials from UF’s special collections on Lincoln and the Civil War will be on display in the Smathers Library Gallery (2nd floor) and available as an online exhibit. 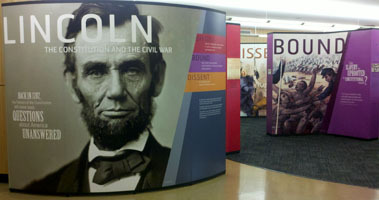 This exhibit offers perspectives on Lincoln as portrayed in children’s literature, propaganda directed against the president and a study of the Gettysburg Address. Additionally, Atlases, Geography and Slave Routes will be available in the Map and Imagery Library featuring selected sheets from the original “Atlas to Accompany the Official Records of the Union and Confederation Armies,” published in 1895. © 2004 - 2015 University of Florida George A. Smathers Libraries.